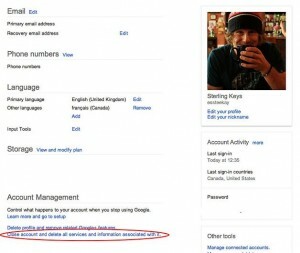 How to delete your Google account? Home » News Android » How to delete your Google account? 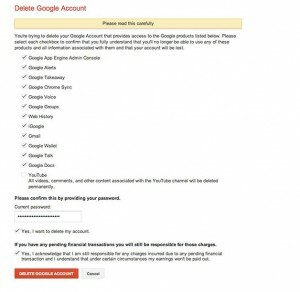 How to delete your Google account? Google most likely knows a lot about you. If you need any indication to really just how much official stuff they have, just check out your Google account settings page and also have a look at your Account Activity. Whether it be checking out a Youtube video, searching for a certain recipe on their search engine, or uploading a photo to Google+, Google knows. Some people might either be unaware that this data exists or just had their eyes above the clouds; however, it is safe to say that not everyone is thrilled about it. For those looking at a way to erase some of your digital footprint, one of the major steps is to delete your Google account and we’ll show you how. Surprisingly, much like how it’s super easy to access all your stuff across a multitude of Google services, it’s as simple to delete them all in a few quick steps. 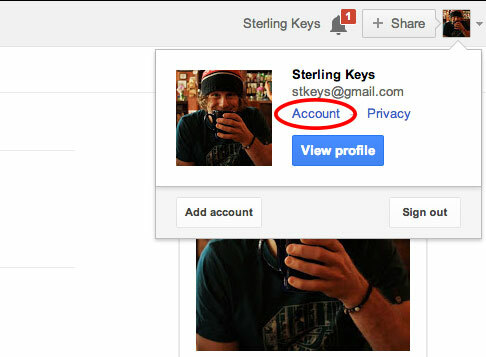 Head to the Google Account you want to delete. Click the down arrow next to the profile picture to make a menu appear. In the menu, click Account. Scroll to the bottom and click Close account and delete all services and information associated with it. Press the red button that says Delete Google Account and delete away! As you can see, a very straight forward few steps in order to reduce some of your digital footprint. Just please be aware that doing something like this isn’t reversible and once you’ve deleted your account, you will need to sign up for a brand new one. Upgrade Adsense Hosted Account to Normal Account?